Very feminine, this must-have design can be worn on any occasion to boost up your style factor and enhance the ultra beauty factor. Indian, or western, this ring bracelet gives a glamorous look, royal blue colour giving the choice to it with any colour dress. Keep jewellery away from direct heat, water, perfumes, deodorants and other strong chemicals as they may react with the metal or plating. 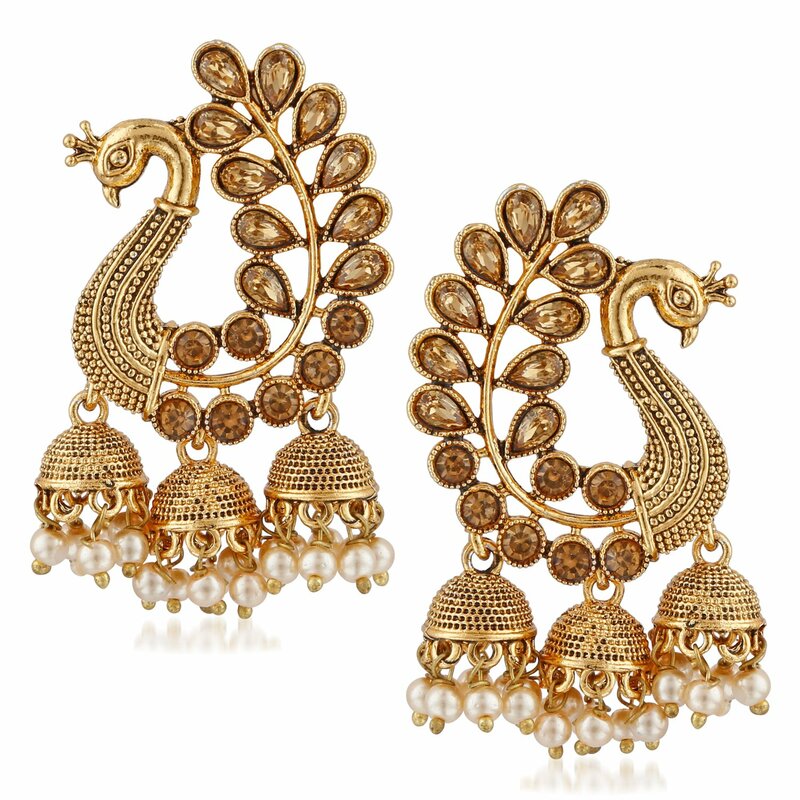 The plating composition of Jewellery is as such that perspiration (sweat) will not damage it. Wipe the jewellery gently with a chamois cloth or leather swatch after every use. Wiping the jewellery with a soft cloth after removing the jewellery would add to its life. Preserve your Jewellery in the box or in a soft cloth pouch.